Please type your desired tags, e.g. Molecular Biology, Publishing, Bionan, wind energy, water power, structural dynamics, Motherhood & Reproduction, K-12 Education, Physical Anthropology, American and British Women’s Literature, History of Medicine, Form, Craft, and Genre Gender Studies, Chinese Language, Trope of monstrosity in literature and film, Heroic Archetypes, and etc. My current research program is contributing to knowledge about childhood obesity. I investigate how parents socialize their children’s eating habits using multiple methods, including behavioral observation, self-report, and experiments. Current projects are being conducted to examine autonomy promoting feeding practices, feeding during infancy, feeding in South Asian families, and factors related to parents’ use of specific feeding practices. In addition, because I am interested in promoting the psychological health of young children, I examine preschoolers’ attitudes about weight and body size. Specifically, I am conducting research to examine preschoolers’ body image and their stereotypes and behaviors toward overweight peers. Maternal sensitivity in the parent-child feeding relationship. Poster presented at the Texas Obesity Research Center conference. 2004–2004	Holub, S. C. & Musher-Eizemnan, D. R., Poster presented at the Biennial Meeting of the Society for Research on Adolescence. Baltimore, MD. 2003–2003	Dalrymple, J., Holub, S., Gordon, A. K., & Musher-Eizemnan, D., Poster presented at the Annual Conference of the Society for Personality and Social Psychology. Los Angeles, CA. 2006–2006	Holub, S. C., Poster presented at the Annual Association for Psychological Science Conference in New York. 2003–2003	Mullins, D. N., Holub, S. C., & Tisak, M. S., Poster presented at the Biemuial Meeting of the Society for Research on Child Development. Tampa, FL. 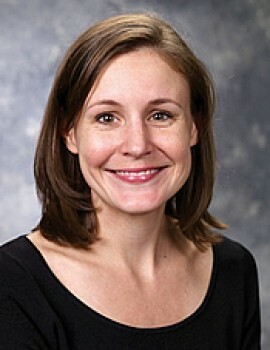 Dr. Holub is an assistant professor in Psychological Sciences at the University of Texas at Dallas. She earned her bachelor’s degree in Experimental Psychology at Millikin University and her doctoral degree in Developmental Psychology at Bowling Green State University. 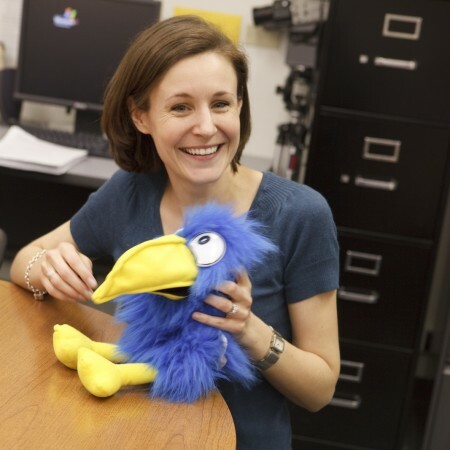 Dr. Holub studies children’s developing attitudes and behaviors and the role that parents play in child development. Dr. Holub’s current research program explores the negative attitudes preschool-age children hold toward weight. Specifically, she studies young children’s body image and the stigma that children hold toward overweight peers. Her research has uncovered factors, such as self-perceptions and attributions, which make some children more susceptible to negative attitudes about weight. As part of her research program, Dr. Holub also explores preschool-age children’s eating behaviors. Her current work examines how parents socialize children’s eating habits through their feeding practices, such as using food as a reward or restricting children’s food intake. Her work also examines how the parent-child relationship and parents’ own attitudes about weight provide a context for these practices. Halloween means fun for kids — but also the tricky temptation of treats. “Many parents worry about their children’s eating habits,” said Dr. Shayla Holub, who studies the development of healthy eating behaviors as an assistant professor in School of Behavioral and Brain Sciences. More than 30 percent of American children are estimated to be overweight, and the number is rising. Children who are overweight are at risk for many medical problems and may be targets of hurtful teasing. Holub, who is seeking participants for her studies in the Center for Children and Families, recommends that parents discuss food choices with their children, so young people can help make their own decisions after trick-or-treating. An assistant professor in the School of Behavioral and Brain Sciences has received a grant to study the relationship between weight and psychological health in young children. Dr. Shayla Holub’s study will involve 150 children between ages 4 and 6. She is one of 10 applicants to receive research grants totaling about $150,000 from the Hogg Foundation for Mental Health. “The way we think and feel about our bodies begins forming at a very young age. This study will help identify ways to nurture a positive self-image in very young children, regardless of their size and weight,” said Dr. Octavio N. Martinez Jr., executive director of the foundation. Psychosocial outcomes related to childhood obesity during the preschool years.